It’s like this. A team of researchers, out of Carnegie Mellon University in Pittsburgh, have figured out a way to guess a person’s Social Security Number knowing only basic info: a date of birth, a home town, etc. The first five numbers of one’s SSN can be correctly guessed 44 percent of the time, per 160,000 people born between 1989 and 2003. That’s in one attempt. In two attempts, you’re looking at 60 percent of people’s SSNs being guessed. In fewer than 1,000 attempts, which isn’t all that much when you consider you can merely write a small program to do all this work, the researchers could guess all nine numbers for 8.9 percent of the people in the data set. What does this mean for you in your everyday life? Probably not too much, but it does highlight the insanity of using your SSN as any type of identification number. 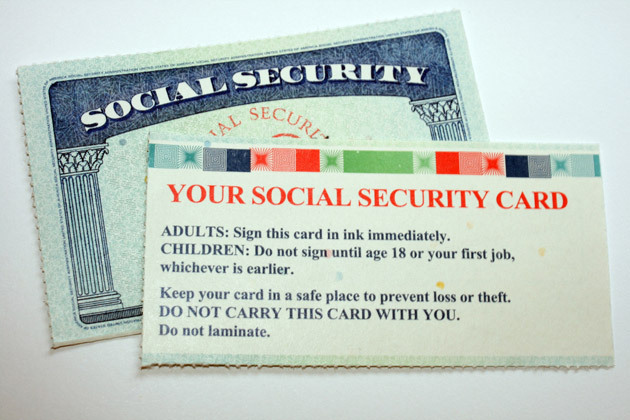 As a matter of fact, the Social Security Administration has, since time immemorial, discouraged the use of the SSN as a personal identifier. But that doesn’t stop lazy companies from doing it, no sir. Be sure to tune in next week for a silly contest: guess Peter Ha’s SSN, and win a USB thumb drive!